Archer on Airguns: Archer Airguns Offers Left Handed Bolt Handle Conversion Service for Benjamin Marauder Air Rifles. 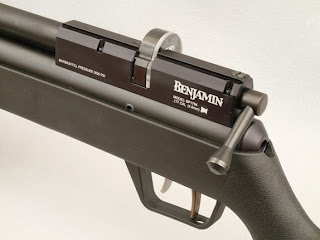 Archer Airguns Offers Left Handed Bolt Handle Conversion Service for Benjamin Marauder Air Rifles. If you have a NEW MODEL - "Synrod" - Benjamin Marauder airgun (Models BP1764S, BP2264S, BP2564S, BP1764W, BP2264W or BP2564W) Archer Airguns can now convert it to left hand bolt operation. As a factory-trained, authorized Crosman Repair Center, Archer Airguns can convert your Marauder to left handed bolt operation while retaining the factory warranty. Above and below are photos of the Marauder air rifle with left handed bolt handle conversion. 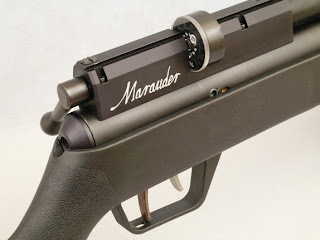 After conversion, your air rifle will be test fired to confirm correct operation before the gun is shipped back to you. Return shipping cost will automatically be calculated when you order, based on your location and shipping choice. Your gun will be returned with insured shipping and signature confirmation required for delivery. 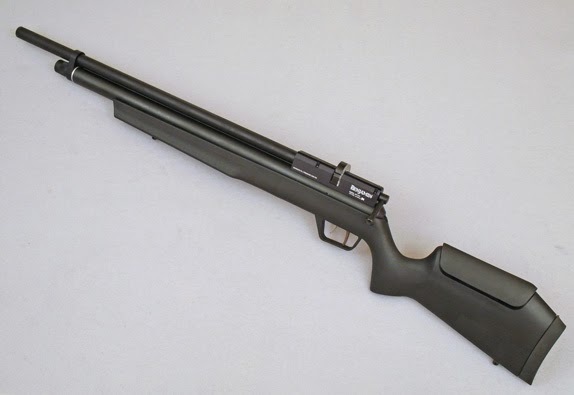 Archer Airguns is also offering new Benjamin Marauder air rifles with the left handed bolt conversion undertaken as an option before the gun is shipped to you. You can see these models on Archer Airguns PCP Air Rifles page. Again the Crosman factory warranty is maintained with this conversion. PLEASE NOTE: THIS SERVICE DOES NOT APPLY TO "FIRST GENERATION" MARAUDER AIR RIFLES (Models BP1763, BP2263 and BP2563) as they do not have left handed bolt operation capability.